Short Stack’s new EP wasn’t the only thing to make its way into the Universal Music release schedule this week. 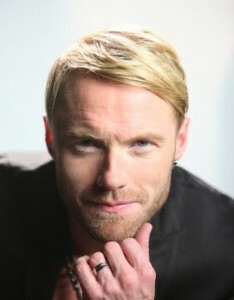 There’s also a brand new album for Boyzone frontman, solo star and X Factor judge Ronan Keating. The new LP will be dropping just in time for Mothers Day, and although details thus far are very thin on the ground, the album is called ‘When Ronan Met Burt’ and is a collaboration between Ronan and legendary songwriter and performer Burt Bacharach. No other details are available on the release just yet, but are expected to come to light over the coming weeks. ‘When Ronan Met Burt’ is due for release in Australia on Friday April 15. Previous Post: « ROCK OF AGES COMPETITION CLOSES TONIGHT! What a sell out, Ronan. This is a new low for Burt Bacharach – worse than him writing “Arthur’s Theme” and “That’s What Friends Are For”…..